Norah Johnson is at a crossroads and is in desperate need to heal after a highly publicized breakup from her major league baseball player boyfriend. To escape, she moves to her summer home at the beach with her sister and best friend where she journals, attends therapy and works on her pending clothing line. When a gorgeous stranger finds her lost journal, he seeks to find the author and make her fall in love with him. But is Norah ready to love again? 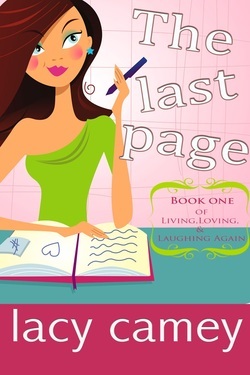 Book 1 in the romantic comedy trilogy of living, loving, and laughing again; a Norah Johnson story. Chloe Banks has always been known for her famous political last name and for her money. Now she’s ready to show the world she is more than the prim, debutante from a privileged background. Groomed from infancy to be the perfect politician’s wife, she would no longer be! Shocking her family and her social circle, Chloe moves temporarily with her two friends to Venezuela and serves in an Orphanage as a nurse, alongside other nurses and doctors from a philanthropic organization. It is there she meets a man her parents would never approve, but is just the type of man she needs. But she’s not the type he wants. Chloe has been known her whole life to pull a few strings or two. Will she depend on her famous last name or win this cutie on her own accord?